December 8th in Plugin Lists, Wordpress Plugins by Wordpress Jedi . Stock Ticker: adds customizable moving or static ticker tapes with stock info to your site. It is ready to be translated. Pricy: adds live stock and Forex market prices to your site. It uses data from Yahoo Finance. WP Stock Ticker Pro: displays market quotes as a scrolling ticker. It supports unlimited stock codes. You can control the caching length for pricing data. 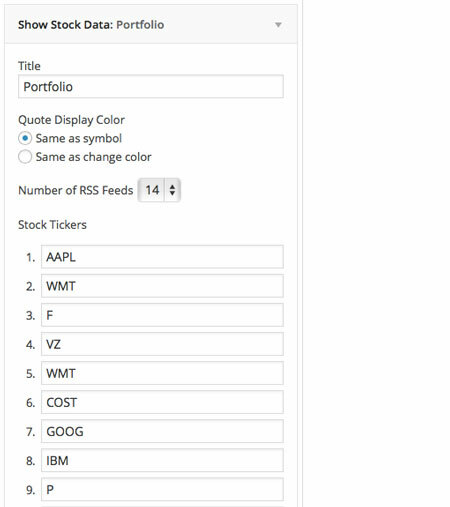 Show Stock Quotes: this widget lets you display up to 20 stock quotes per portfolio. 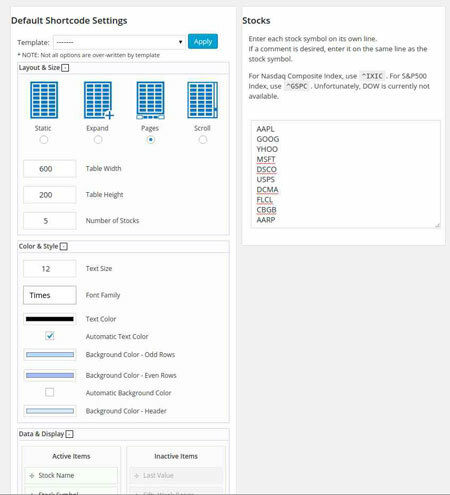 Stock Engine: lets you create and display stock tables on your site using shortcodes. 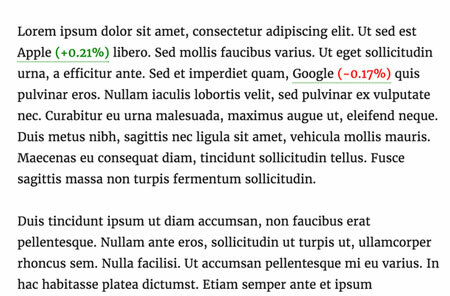 It has 4 layouts and customizable width, height, text & background and other features. 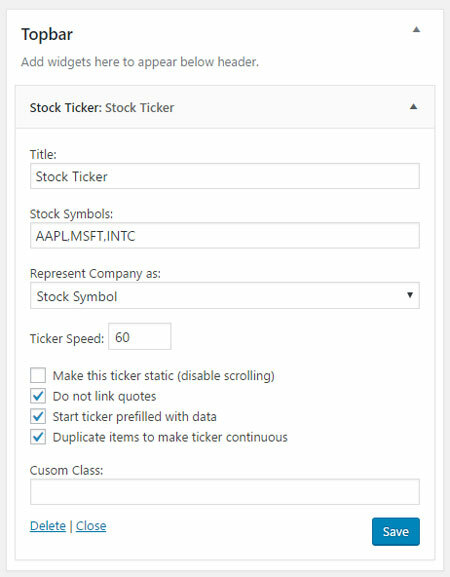 Custom Stock Ticker: this plugin allows you to create moving stock tickers that you can place anywhere on your site. It comes with pre-built themes. 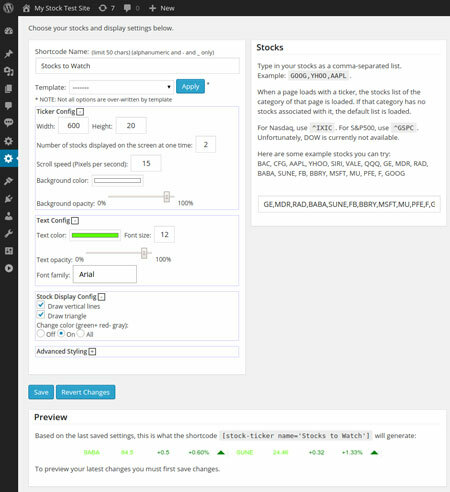 Stock Market Widgets: allows you to embed financial data into your WordPress site. You can add scrollable stock ticker, stock quotes, currency exchange rates, and stock charts to your site. 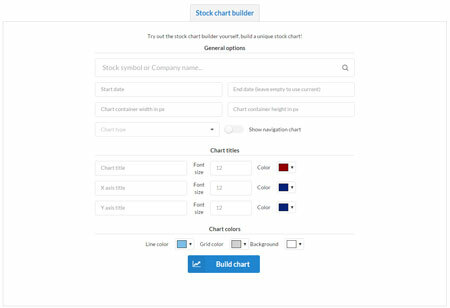 Dynamic Stock Charts: adds dynamic stock charts to your posts, pages, and sidebars. It is built with Google Charts API. Live Forex Table: displays foreign exchange rates in a tabular format based on Google Finance. Have you found better Google & Yahoo Finance plugins? Please share them here.